Our professional movers will be able to aid you with any relocation project, ensuring all items are safely delivered. Regardless how large your removal we have the proper vehicle for the job, including Lutons and Transits. All our moving teams are properly equipped with the necessary tools to execute swift and safe relocations. 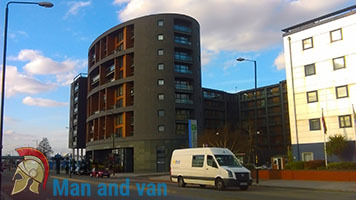 We help both private and business customers in London to relocate, offering them fast services and low rates. 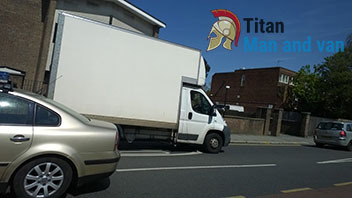 Titan Man and Van is a leading relocation company specializing in all sorts of professional removals in London. If you want to spare yourself the hassle and stress of major relocation, or you just need a single object delivered to a specific location in the capital, we are the people to turn to. We are certified for all those types of removals in London. What is more, our team has extensive experience covering such projects, which is invaluable when the job is to be done properly, in a timely fashion and without stress or strain. The one thing that you should know is that you can count on our London man and van team at a hundred percent. Every removal in London we are commissioned to take care of is carried out with utmost precision and respect for the items moved. At our company we maintain a large fleet of modern removal vehicles – both small and mid-sized vans and large lorries to accommodate bigger relocation jobs. All our removal vehicles are navigated through state of the art GPS and have safety gear relevant to the high quality standards of the moving industry. Every van and truck is immaculately cleaned after a moving job. A home removal in London does not comprise simply of hauling boxes on a van and then driving off to the assigned location. The process involves a lot of planning and preparation. What we want you to know is that our expert removal technicians are ready to offer you a helping hand on every stage of your home moving experience. 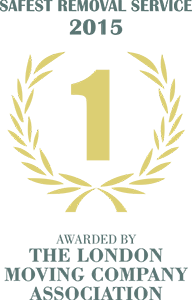 We can handle everything for you – from managing paperwork to obtaining parking permits to packing your goods – or provide you with useful tips, information and materials so that you can do those tasks on your own with as little complications as one might hope for. We will arrange a team of technicians to come to your place and carry out the job you have called us for at a time that is most comfortable to you. For that purpose we maintain our schedule fairly flexible. Even last minute booking would not be a problem, because we understand perfectly well how urgent some situations might be. We encourage you to mix and match our man and van in London solutions with a stress-free packing service which is going to guarantee the safety of your possessions while on the road with us. Our trained and fully vetted technicians use modern double walled removal boxes that are very durable, tested methods and materials of the highest quality. When you entrust us with packing our goods, you can rest assured that nothing bad is going to happen to them during transportation. We will move your home, office or single items with the precision and respect that you and your items deserve. Safety is among the major concerns we have, and we do everything possible to ensure that your goods are secured well during their time of moving. From the impeccable safe moving vehicles, to our strong double-walled removal boxes and the skills we have acquired through years of hard work doing removals in London, we are certain we will be able to give you the peace of mind you need. Naturally, our London covering man and van solution is going to perfectly fit the requirements of not only the biggest and toughest full property moving jobs, but also those of specialized removal projects. Our vetted experts have been hired to carry out art and antique moves, piano removals and the delivery of sensitive and expensive office equipment. All tasks have been handled with utmost care and respect. Feel free to get in touch with us at any time for further details. Feel free to contact us at any time for booking and quotes. Our customer support can be reached via phone and email around the clock. Ask our experts anything and count on a quick and adequate response to all your questions. Make your reservation now and leave all the details to our specialists to handle. They know what they are doing. Our clients have voted us the best man and van firm in London today! We are more than certain we will manage to live up to your expectations and needs. It will be a pleasure for us to be by your side on your moving day. London is not only the capital of England, it is the most important financial centre in the world and among the faster growing cities in Europe as well. According to the last census, as many as eight and a half million people live here and their number is rising constantly. The River Thames splits London into two parts. North London is the smaller one, being also the older. South London is usually thought of as a cluster of suburban developments, but there are pretty fine commercial areas here too, especially in Croydon. Greater London comprises of 32 borough districts in addition to the City. London is, among other things, a really popular tourist destination. The people who come to see the many landmarks and attractions in the capital are several times more than the local population. Famous spots include Big Ben and London Bridge, the British Museum and Buckingham Palace, Chinatown and the art galleries in Chelsea. There is a lot to see here for sure. Another thing London is famous for is its big financial centre – The City.